As Shanghai Toy Show (STS) fast approaches this weekend, Sofubi Forest will host their own show adjacent to STS. 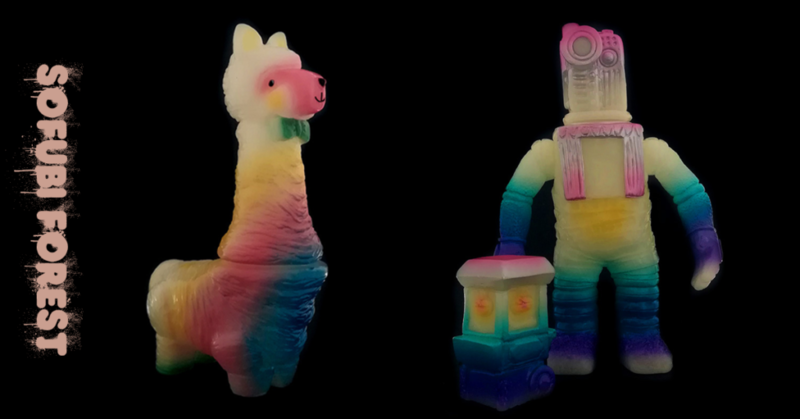 Featuring an Exclusive GID CINEMATRON and Exclusive GID PACA by UHOH Toys. Featuring: APOS TOYS, CHOKE HAZRD, HINTS AND SPICES,SCIENCE PATROL, SQDBLSTR, STAR CASE and UHOH TOYS, Sofubi Forest will host their own show at Mercedes-Benz Arena – Diamond Exhibition Room (1200 Shibodadao Pudong District Shanghai China). Each of the GID CINEMATRON and Exclusive GID PACA will be limited to 10 pieces each and will be served first come, first served. Running from 11-12th April, APOS TOYS, SCIENCE PATROL and UHOH TOYS will be in attendance at the show.